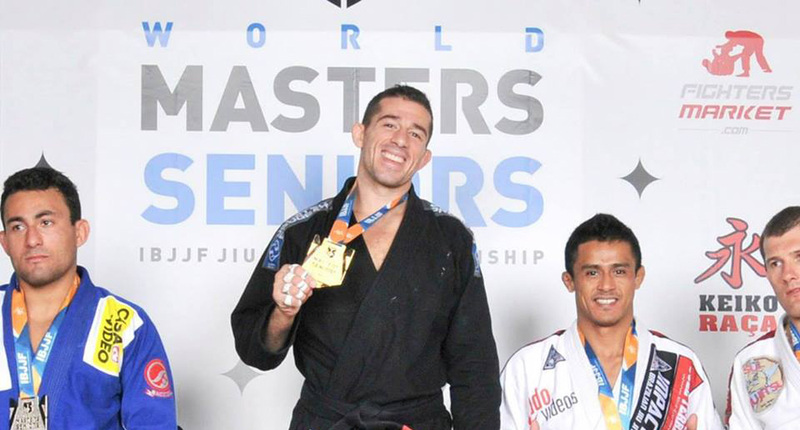 Marcos Torregrosa, also known as Marcos “Yemaso”, is a jiu jitsu black belt under Cassio Werneck. Originally from Puerto Rico, Marcos Torregrosa made a name for himself in the grappling world competing mainly in the United States where he conquered several important tournaments such as the American National, Grapplers Quest, the US Open an many other trophies. Nickname: “Yemaso” is a play on words, a combination between “Yema” (head) and “aso” (hard), which describes a heard headed person and is a common word in Puerto Rico. Marcos started using this pseudo name on an old internet forum called “In the Guard”. His internet persona became recognizable and when he competed people would call Torregrosa by his internet nickname. Marcos Torregrosa was born on the 17th of October, 1980 in Puerto Rico. He originally came to California, US, to improve his life and get at a banking job with Providian Financial. Torregrosa was a fan of ultimate fighting and when he had a chance he sought an MMA/BJJ gym to satisfy the curiosity he had for the sport. By chance there was a Cassio Werneck affiliate academy only four miles from Marcos’ home and he became a dedicated white belt. Raven Seyman, a Werneck purple belt at the time, was Torregrosa’s first instructor. Marcos was one of the most avid students at the gym and he earned his blue belt from Seyman after conquering his first few gold medals. Torregrosa’s dedication took him to Brazil where he trained under Cassio Werneck, and where he earned his purple belt. This was the first of a few trips to Brazil to compete and train, including a trip to Rio de Janeiro to fight at the World Cup when he medaled after finishing 6 of his 7 fights by way of triangle choke. On December that year (2004) Yamaso received his brown belt, his black belt would come on January 2007. Marcos Torregrosa started coaching very early in his BJJ career, ever since his original coach Raven Seyman left the gym to continue his academic career. Torregrosa took over before Cassio Werneck moved to the States. When Mr. Werneck came to the United States, Marcos became a full time student again, teaching only in Cassio’s absence until, in 2004 as a brown belt, I began to teach at a few of his affiliates in both Woodland and Grass Valley, California. In 2007 Yamaso began to teach at his own school in the south Sacramento area and eventually opened his own academy on September of 2011. The change to team Lloyd Irvin came in 2011. Torregrosa had gone previously to Master Lloyds school in Maryland and was not only impressed by the environment but also inspired to compete more. At the time Marcos’ relationship with coach Werneck was deteriorating and the move to Lloyd Irvin made sense. With Irvin’s permission Marcos Torregrosa became a Team Lloyd Irvin representative. In 2013 after the Team Lloyd Irvin Scandal Yemaso decided to terminate his bond, he wasn’t alone on his decision, as many more followed Torregrosa’s footsteps and left the TLI association.